Your guide to being outrageously successful living your small business lifestyle. Plan It! Why you need a strategic business plan and how to simply and effectively get all your planning organized in five easy steps to successfully deliver on your business vision. Do It! You’ve got a plan, now work your plan. This is your guide to building, growing and maintaining your small business. Real-world advice helps you thrive while avoiding the pitfalls of small business ownership. Love It! You’ve planned well, you’re deploying your plan — now get these mindful tips and tools for remembering why you started a small business in the first place. Fall in love with your small business lifestyle, everyday. Are you a small business owner feeling overwhelmed and wondering where and when your passion was lost? Do you feel like you are burning the candle at both ends and still not seeing the results of your labor? Does deciding to expand, hire staff, get your finances in order or plan an exit strategy keep you up at night? 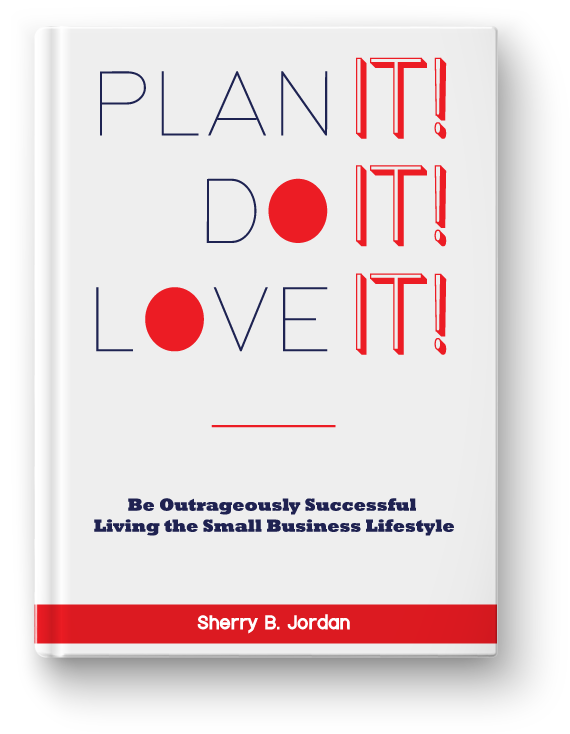 Welcome to the secrets of successfully living your small business lifestyle from small business coach and expert, Sherry Jordan. 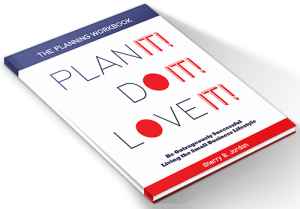 Get access to the business planning resources Sherry shares with you in her book through the free links and get ready to love the life you live and live the life you love. More about Plan It! Do It! Love It! For small business owners, life is work and work is life. The lines are blurred between work and everything else — family, friends, faith and self. It is the life and lifestyle we have chosen. But it’s not all easy going when you are trying to live the life you love and love the life you live. The best defense against throwing in the towel is working a clear and simple plan for your version of business success while getting the support you need. This guide will take you through all the steps to running your small business with the least amount of stress and confusion through tried and true planning techniques that are easily executable. At the end, you will be right where should be — living and loving the small business lifestyle. 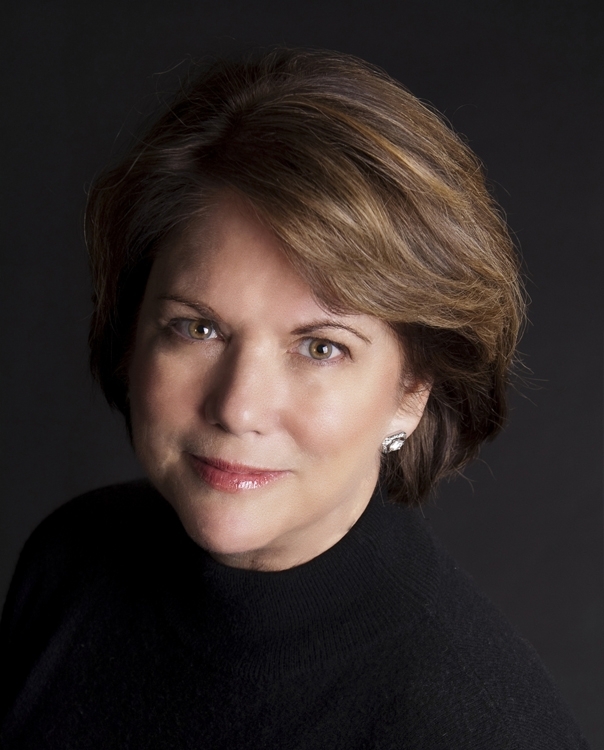 For over 20 years, Sherry Jordan has been coaching high performance executives, small business owners, solo entrepreneurs, and professional teams to success. A corporate management consultant and trained psychotherapist with a background in individual and group counseling, Sherry brings diverse and in-depth experience to small business coaching. Sherry is a member of the Institute of Management Consultants and is a highly sought after expert and presenter in the field of change and change management working with clients such as JP Morgan Chase, CitiMortgage, and Principal Insurance Group /Principal Residential Mortgage. She has served on the Board of Directors for the Homebuilders Association of Metro Portland, the National Brain Tumor Foundation, Homeowners.com, LT Public Relations and COPE. Sherry is also a teacher, trainer and author on the subjects of planning, building strategic partnerships, psychology of change, the power of accountability, and on the 5-Steps to the Career of Your Dreams. As founder of The Northwest Coaching Group, Inc and Sherry Jordan Coach, Sherry has partnered with some of the most successful people in the industry to create small business strategies that work. Find out more at SherryJordanCoach.com. 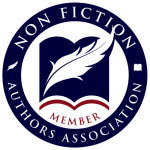 Sign up to receive free resources and tips from Sherry! © 2019 Plan It! Do It! Love It!. All Rights Reserved.